Wealthfront and Wealthsimple are two of the most popular robo-advisors. Wealthfront currently has over $10 billion in assets under management while Wealthsimple has over $3 billion. If you’re looking for expert money management, human financial advisors can be costly whereas the management fees charged by Wealthfront and Wealthsimple are, on average, significantly lower. Another advantage is that your portfolio is automatically balanced regularly thanks to computer algorithms versus relying on a human to regularly check up on and modify your portfolio(s). Below we compare Wealthfront vs Wealthsimple to help you figure out which of these leading robo-advisors would work best for your financial needs. Which Robo-Advisor Has The Best Tax Strategy? What Asset Classes Are Offered? Wealthsimple does not set a minimum balance for new accounts. It also offers more support for rolling over 401(k) plan assets. Wealthfront charges lower management fees and its powerful “Path” app can help you determine right away whether you’re on track with your investment goals. Wealthsimple may be the best choice for individuals who are getting their feet wet in the world of investing for the first time whereas Wealthfront may be a more attractive option for investors who are saving toward a specific goal. For the first year, Investormint readers who choose Wealthsimple pay no fees on account balances up to $10,000. After this initial period, Wealthsimple uses a tiered system to calculate fees. Wealthsimple Basic investors pay a 0.5% fee on account balances below $100,000. Wealthsimple Black investors pay a 0.4% fee on account balances of $100,000 or more. Fees are calculated on a daily basis, and the aggregated amount is deducted from your asset account once a month. Wealthfront charges a flat 0.25% fee on all invested assets. Wealthfront also passes on the expense ratios charged by exchange-traded funds (ETFs). On average, ETF expense ratios will set you back between 0.08% and 0.12%. These fees are calculated according to your average monthly balance and are deducted from your balance once a month. Wealthsimple has no minimum account balance, which means you can start investing even if you don’t have a lot of money to initially invest. Wealthfront’s account minimum is $500. For specialized services like stock-level tax-loss harvesting and Smart Beta (an advanced indexing service), account minimums are $100,000 and $500,000, respectively. Wealthfront allows you to create a profile and to look at your recommended investment portfolio before you fund your account. While Wealthfront supports a greater number of accounts however Wealthsimple offers a greater level of support for 401(k) rollovers. For many Americans, contributing to a 401(k) is the only real connection they have to the stock market. When you roll your 401(k) over to a Wealthsimple IRA, Wealthsimple will reimburse you for all transfer fees and automatically deposit and balance your portfolio, perform all necessary tax harvesting and dividend reinvestment and personalize your portfolio according to your specifications. Moreover, Wealthsimple will give you unlimited access to a human financial consultant who will answer any questions you may have about the process. Both Wealthfront and Wealthsimple offer automated tax-loss harvesting for certain taxable accounts. Tax-loss harvesting is a strategy used for long-term investments in which ETF assets that have declined in value are sold at a loss. These losses are then used to offset taxes on capital gains. Gaining and declining assets can be mixed and matched in a way that leaves the risk and return profile of a portfolio unchanged. As a strategy, tax-loss harvesting is most useful for accounts that may be subject to capital gains taxes. As a rule, retirement accounts won’t benefit from tax-loss harvesting. Wealthfront offers a daily tax-loss harvesting service to all clients at no additional charge. At Wealthsimple, tax-loss harvesting and tax-advantaged investing is also available to all clients fee-free. Wealthfront’s investment platform is completely automated. Wealthsimple employs a team of human financial advisors who you can telephone, text or email if you have questions. All clients have unlimited access to human advisors. Wealthsimple’s strategy is simple: Put money in your account, and we’ll use our Nobel Prize-winning principles to responsibly manage your money; you don’t have to do anything. In keeping with that value proposition, Wealthsimple offers neither calculators nor planning tools. In fact, Wealthsimple’s platform has no extra bells and whistles that could be confusing to novice investors. In contrast, Wealthfront features tools that allow you to customize a financial plan, obtain specific financial advice and even do scenario planning so that you can imagine how future investments will pan out if you follow a particular asset diversification strategy. Wealthfront’s most versatile tool is called Path. It aggregates information from the financial data you’ve linked to your Wealthfront account, allows you to enter any life changes that may impact your long-range financial goals and then forecasts the effects of those changes. The Path tool uses economic factors such as likely rates of inflation, changes in spending habits and other criteria taken from the Bureau of Labor Statistics’ Consumer Expenditure Surveys to streamline its future scenarios. Each portfolio includes between 8 and 10 ETFs that have been carefully selected to represent a unique asset class. Socially responsible investing: Includes ETFs from companies that focus on affordable housing, gender diversity initiatives, carbon-conserving initiatives and other enterprises that reflect corporate social responsibility. Halal portfolio: Excludes ETFs from companies involved with gambling, tobacco, alcohol, firearms or other activities that breach Islamic law. Wealthfront uses the principles of Modern Portfolio Theory to assemble asset portfolios that maximize return while minimizing risk. Wealthfront selects index-based ETFs that represent each asset class and allocates them into portfolios using Mean-Variance Optimization theory. Wealthfront’s portfolios typically consist of 6 to 8 ETFs. Larger portfolios may contain individual stocks. In 2018, Wealthfront created a proprietary mutual fund called the Wealthfront Risk Parity Fund, which is intended to help maximize risk-adjusted returns in a wider range of market environments. Up to 20% of taxable accounts that have balances in excess of $100,000 are routinely invested in the Wealthfront Risk Parity Fund. Wealthsimple offers live customer support over the phone, Monday through Friday, 8:00 a.m. to 8:00 p.m. EST. Wealthfront also offers clients the opportunity to connect with members of a live customer support team if they call Monday to Friday between the hours of 11:00 a.m. and 8:00 p.m. EST. Both Wealthsimple and Wealthfront give clients the option of emailing descriptions of any tech problems they have encountered. Wealthsimple’s free mobile app is a mirror of the company’s computer-based website layout. It is available for both iPhones and Android phones. Similarly, Wealthfront’s free mobile app, which is available for both iOS and Android systems, re-creates the desktop experience. Wealthsimple may be a better robo-advisor to explore for first time users because it has an introductory offer that allows you to invest up to $10,000 without paying any fees and provides unlimited access to human advisors. Once that initial fee-free year is up, however, Wealthsimple charges higher management fees than does Wealthfront. Wealthsimple also offers socially conscious investors the opportunity to invest in companies that reflect those values. Its Halal portfolio may be an attractive option not only for adherents to the Islamic faith but also for other investors who don’t want to support companies that broker in firearms or tobacco. Plus, Wealthsimple offers the human touch for investors who prefer to have guidance from a person at their fingertips in addition to all the benefits of automated investment management. Wealthfront’s strengths are its lower fees as well as the degree to which it allows clients to customize portfolios to reflect changing circumstances in their own lives. For example, Wealthfront allows you to set up a 529 college savings plan through its service, which Wealthsimple does not. 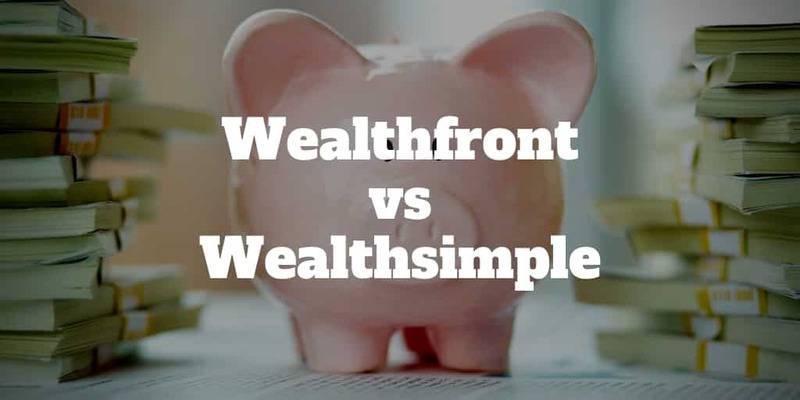 In the long run, the answers to these questions are probably what motivate most people to invest in the first place, and this is why Wealthfront’s services may have a slight edge over those of Wealthsimple. You’re interested in robo-advisor services but are not quite sure where to start. Investing in socially conscious portfolios is important to you. You want unlimited access to human advice. You’re interested in minimizing the fees you spend on robo-advisor investment services. You’re saving for a long-term goal and you want to account for changing circumstances. You’re saving specifically for your child’s college education. Robo-advisor platforms are automated financial management services that rely upon algorithms to coordinate investment portfolios. The algorithms used to manage your account will be customized according to the answers you give to questions posed when you first sign up. These questions are designed to gauge your investment goals, your timeline for accruing wealth, your risk tolerance and other similar criteria. ‹ Ben Shapiro Net Worth: Is It Really $10 Million?